As of August 10th our internship program, an annual custom here at Hatena, is now underway! This year’s interns participating in the “Cloud Server Management Systems Course” breezed through the lecture portion and have now joined the Mackerel development team. Without hesitation they were able to tackle some small tasks and release their own implementations. During their internship here at Hatena, we’ll be having them participate in Mackerel product development and hopefully they’ll leave having gained some valuable experiences. So with a big welcome to our young new engineers, here is this week’s Mackerel update! 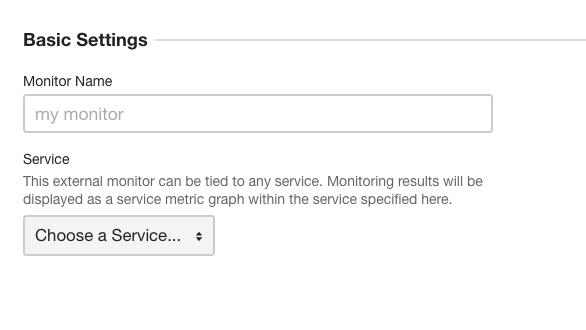 Now, when configuring external monitors, by specifying the target service, the external monitor’s response time will be automatically graphed as a service metric. Other than specifying the service when configuring monitors, no operations are required for graphing to occur. We’re also planning on releasing monitor configurations for response time soon. Until now, the email notification channel would notify all members belonging to an organization. 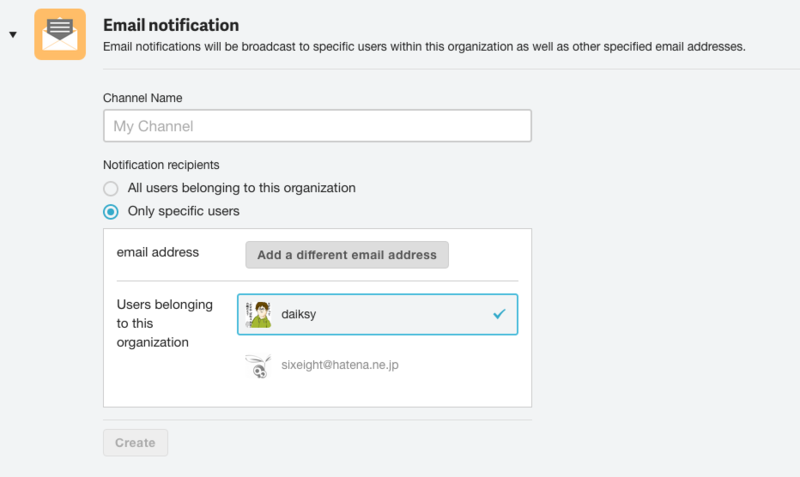 With this update, in the email notification channel settings, not only is it possible to choose email addresses from the list of members to add to the notification channel, but you can also add any outside email address as well, making notification customization in terms of the type of alerts even more flexible. mackerel-agent-plugins 0.11.2 has been released. This revised version corrects a problem where the plugin for MongoDB couldn’t be used with versions later than v2.4. An article covering feedforce Inc.’s use of Mackerel was recently published on the curated site SELECK where various businesses are introduced and talked about. The article is currently only available in Japanese. YAPC::Asia is a Perl conference which is being held in Tokyo this year at Big Sight today and tomorrow. Mackerel team director songmu will be giving a talk (in Japanese) titled “Scala, Go, and Perl in Mackerel Development” on the 22nd at 10AM at track C.
Here’s the information about his talk (Sorry, Japanese text only. Get in touch with us if you’d like more information in English!). We hope those of you attending YAPC this year in Tokyo will come join us!